LAS VEGAS, Dec 15, 2010 / — The 17th Annual Cactus Lighting at Ethel’s Chocolate Factory in Henderson drew a big crowd even by Las Vegas standards. 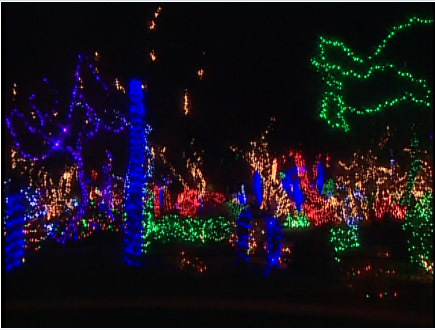 As always, the three-acre Botanical Cactus Garden adjacent to Ethel’s chocolate factory was turned into a garden of lights with more than half a million colorful lights lit up. For more information on the Holiday Cactus Garden, please call 1-800-680-0150 or visit www.ethelschocolate.com.